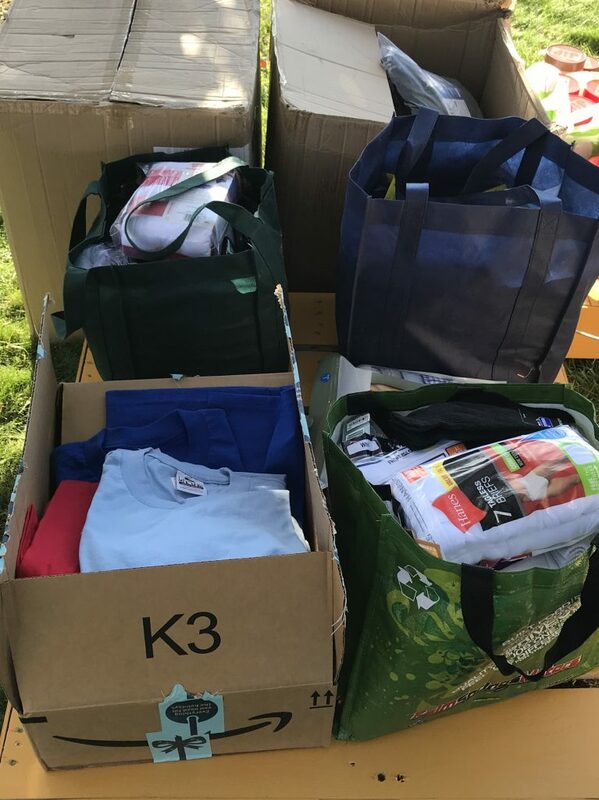 The convention planning team said this outpouring of generosity “far exceeded” their expectations. The socks and underwear went home with Episcopal Community Services which operates Friend-to-Friend, a support center for homeless people. 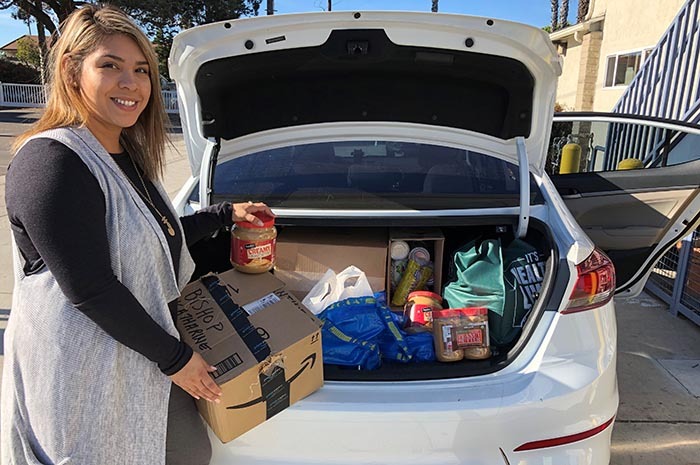 The peanut butter provides much needed protein source for low-income seniors served by St. Paul’s Program of All-inclusive Care for the Elderly (PACE). 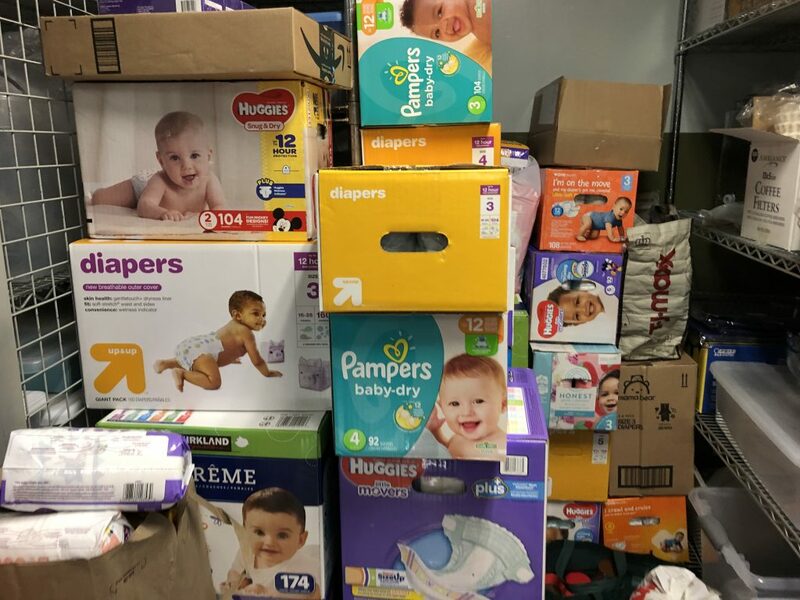 The diapers, wipes and cream will help RefugeeNet‘s young families as they adjust to life in the States on tight budgets. 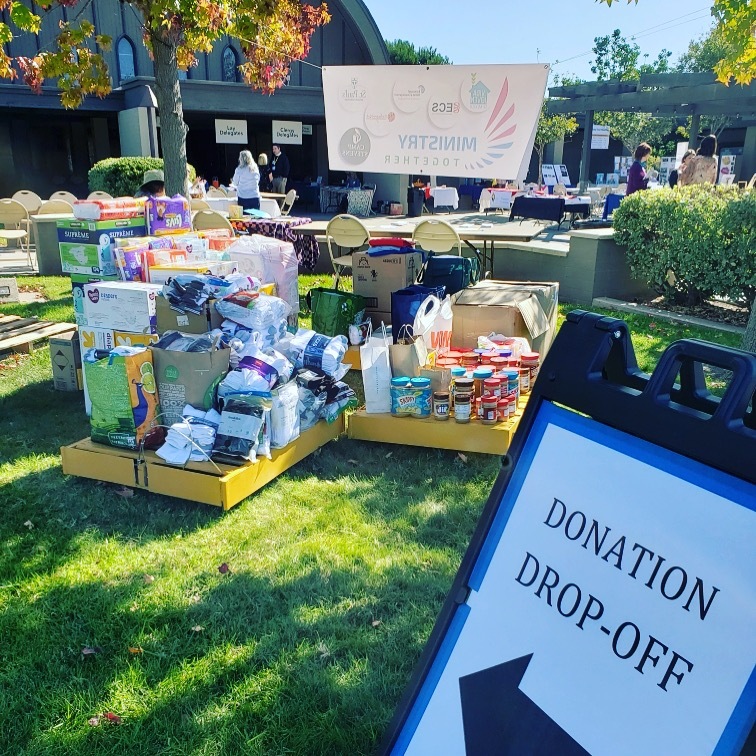 Thank you to all who participated and brought these much-needed items to our 45th Annual Diocesan Convention. Enjoy the photos below and thank you for your generosity! 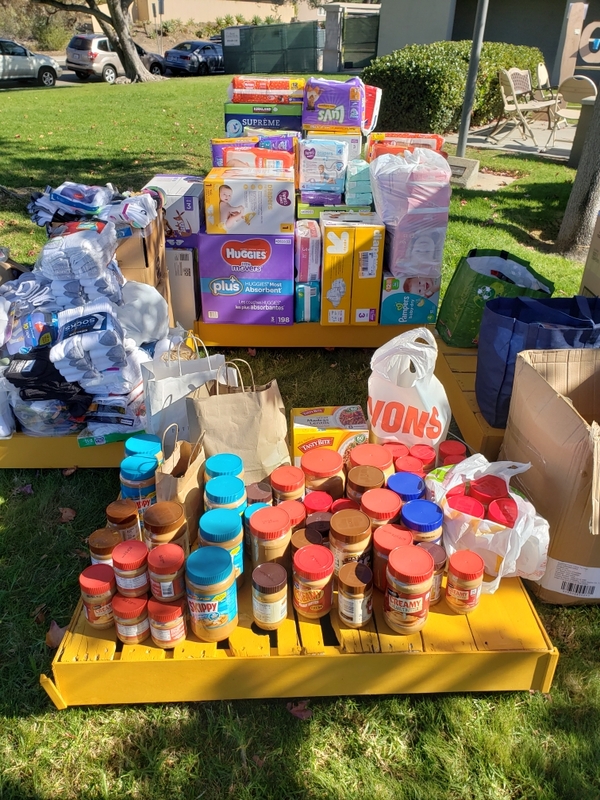 Conventioneers dropped off donations of diapers, peanut butter, socks and underwear under the liquid amber trees at St. Dunstan’s. The pile grew as the day went on. 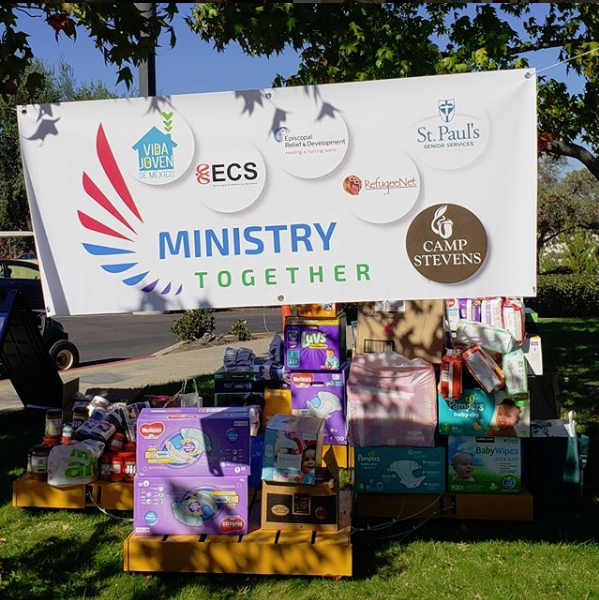 Donations supported one of six diocesan ministries. Lots of new clothes for ECS’ Friend to Friend homeless outreach program. 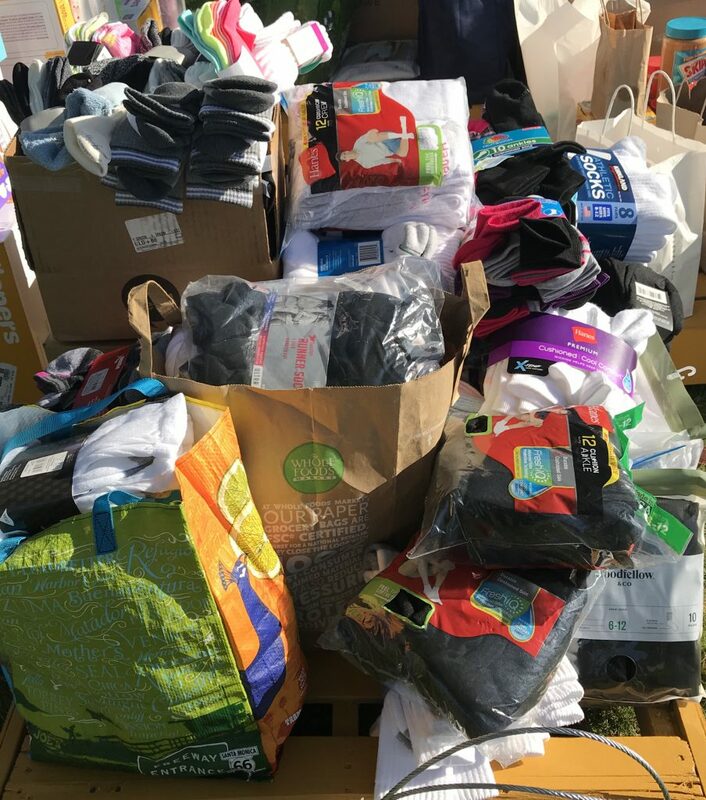 Diapers, wipes and diaper rash cream for RefugeeNet’s young families. 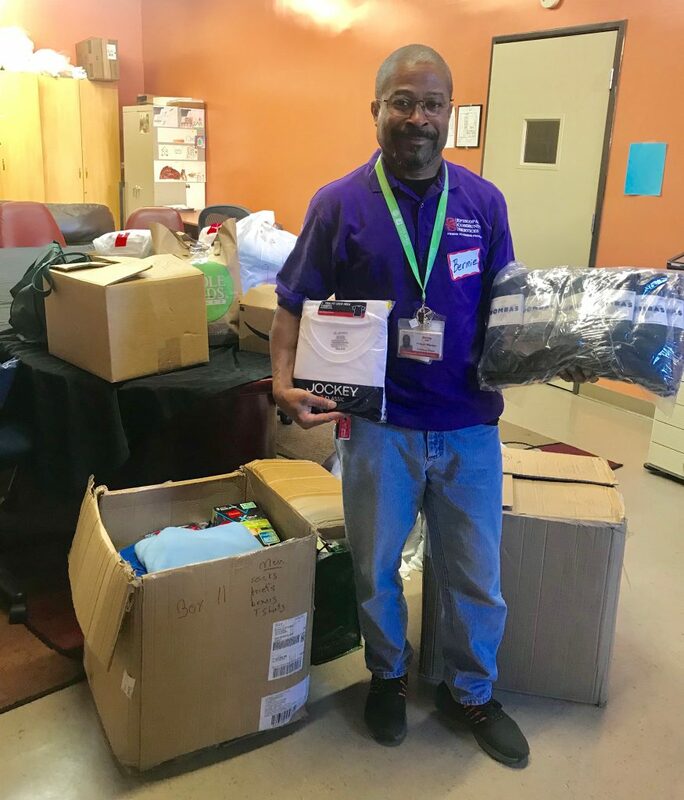 An ECS program director gratefully receives the clothes donations, which included a few packets of Tshirts in addition to the socks and underwear. 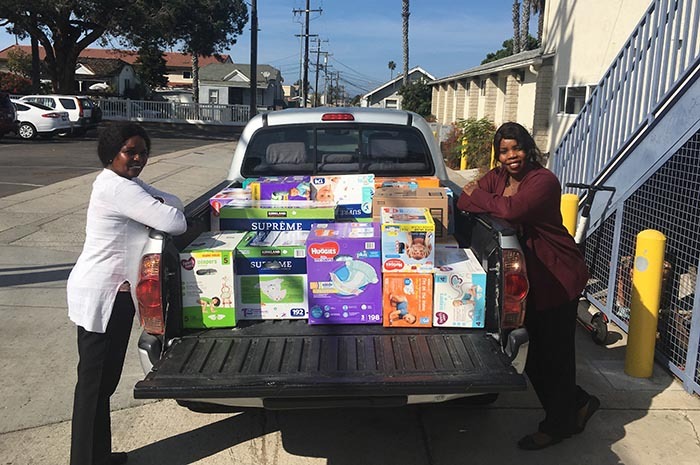 Nadia and Katherine Bom from RefugeeNet gratefully receive donations of diapers, wipes and cream. St. Paul’s Program for All-inclusive Care for the Elderly (PACE) picked up tons of low-sodium peanut butter for the seniors in their program.